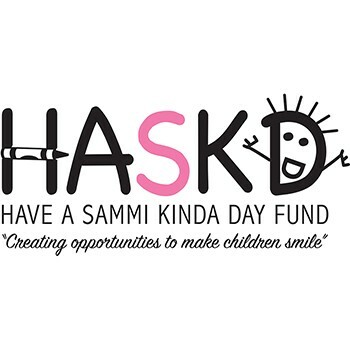 The Have A Sammi Kinda Day Fund is a non-profit 501(c)(3) organization dedicated to the memory of Samantha Rose Theodore. We continue to share Sammi's love of children by funding opportunities for children and young adults that would otherwise not be available to them. Our mission: Creating opportunities to make children smile. Get a great vehicle and support a great cause. With every new Subaru purchased or leased, Subaru will donate $250 to your choice of charities that benefit your local community*, like Have A Sammi Kinda Day Fund. November 15 through January 2. Share the Love support has helped HASKD create smiles for 24 children, with gifts that help send children to summer camp, karate school and gymnastics. HASKD donated a laptop and iPads, helped a college student with expenses and sent a kindergarten class on a field trip. There were many more smiles made totaling over $29,000.